The Silver Pulser is a consumer product designed to be used as part of a Wellness Lifestyle. A commitment to healthy lifestyle choices is an important factor in the journey to Wellness. 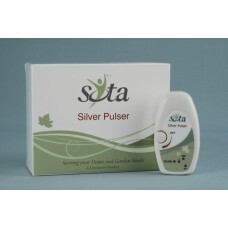 The SOTA Silver Pulser offers the benefits of gentle microcurrents of electricity and also makes Ionic~Colloidal Silver. Microcurrent stimulation supports the body’s own natural electricity for more energy, health and well-being. Ionic~Colloidal Silver supports the body’s natural defenses. 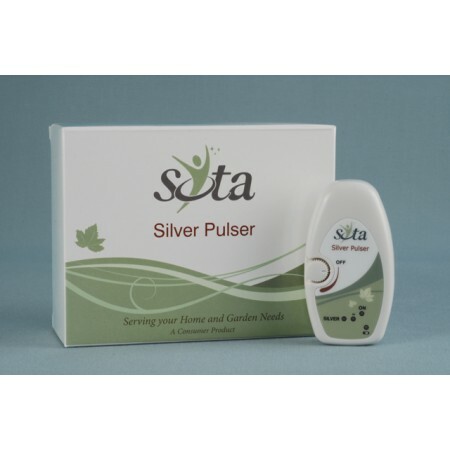 The Silver Pulser is designed to be used independently, but can also be used together with any of the SOTA Products. With proper care, your Silver Pulser should provide you many years of trouble-free use. Micropulsing to help stimulate the body’s natural electricity for greater energy and well-being. An energy-giving system that can be used while at home, at work or at play. Make your own Silver Electrolyte ... Nature’s Germ Fighter. You can easily and inexpensively make Ionic~Colloidal Silver.